As the hype continues to build for Virgin Voyages saucy new ship, the Scarlet Lady we’ve been hanging onto every piece of news escaping HQ. And today they’ve come through with the goods. 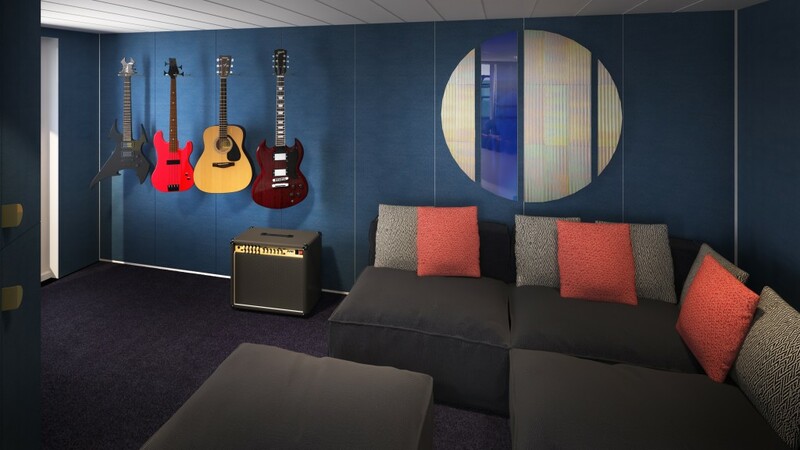 The adults-only cruise line, set to launch in 2020 has released some very funky imagery of their RockStar Suites. 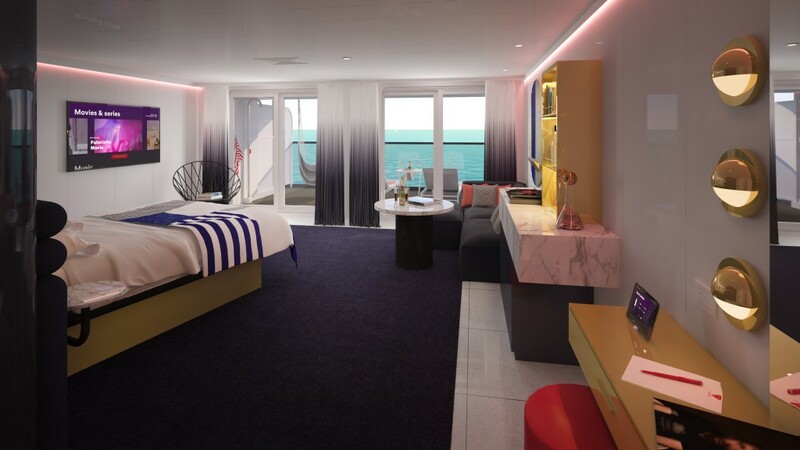 The suites are designed to throw traditional cruising clichés and formalities out the window to make way for rebellious luxe designed by Tom Dixon’s Design Research Studio. And we haven’t even got to the best part yet. 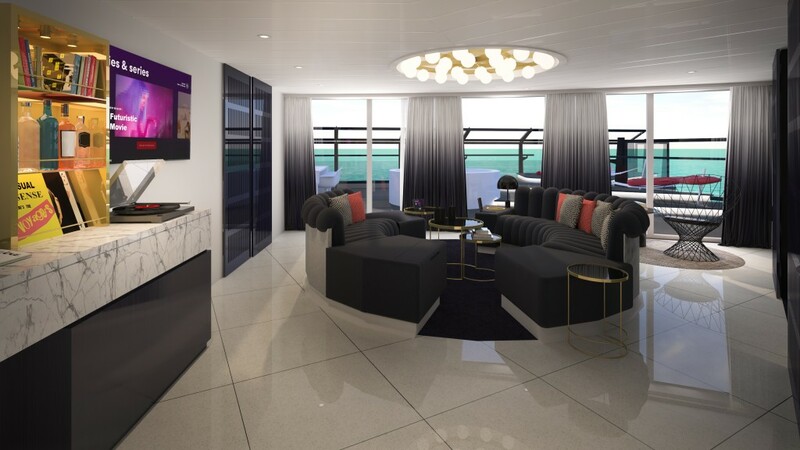 From now through January 31, Virgin Voyages fans can enter for the chance to win the opportunity to Party Like a Rockstar, in Virgin Voyages style, at their next #ShipTease event in New York City on Valentine’s Day. Tickets for Virgin’s much-anticipated ship, Scarlet Lady, are now on sale. We tried to convince our boss to buy us a ticket for ‘research purposes’ but he just laughed. We’re raking it as a maybe. 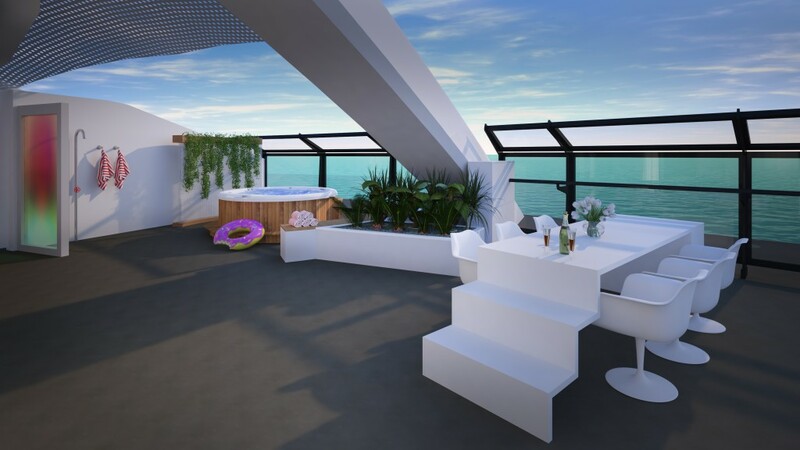 Get all the juicy deets about the Scarlet Lady’s “out of the box” cabin design and itineraries. Now, if you’ll excuse us, we’ll be daydreaming about the Caribbean for the rest of the day. 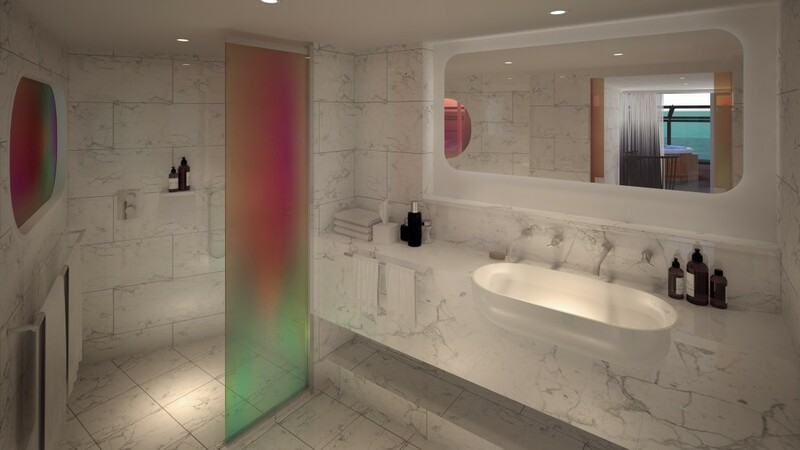 According to APT, luxury travel isn’t just a five-star hotel or extravagant pool. However, we’d take those over another day in the office in a heartbeat.